Alice K. Chung is a graduate of the Pennsylvania Academy of the Fine Arts. She was born and raised in Seoul, Korea and has a Master degree and Bachelor degree of Science in Seoul National University. She worked as a teacher for 1 year in Seoul National University before she moved to the United States of America. Art has been part of her life since she was admitted to Kyunggi Girls’ High School in Seoul, Korea and has been wanted to be a professional artist. After she moved to Philadelphia, she decided to study Fine Arts to be an artist, so she graduated from the Pennsylvania Academy of the Fine Arts in 1996. Since she graduated from PAFA, she has exhibited her works in various gallery and museum, art centers as a professional artist in the Philadelphia region, sometimes in New Jersey and in Seoul, Korea. She had 7 Solo Exhibition including Hyundai Art Gallery in Seoul, Korea, Artists’ House in Philadelphia, SPP Gallery, Fine Arts Peoples’ Gallery, Han’s gallery in PA, The Philadelphia Sketch Club Stewart Gallery. She has exhibited in numerous open juried show including exhibits at American College, Berman Art Museum. Windy Bush Gallery, SPP Gallery, Henry Gallery,Cohen Gallery, Benette Gallery, St Asaph Gallery, Center on the Hill, MCCC Art Center, Artists’ House, 211 Gallery, Wayne Art Center, Main Line Art Center, The Plastic Club, Settlement Music School Gallery, The Da Vinci Art Alliance, Montgomery County Community College Fine Arts Center Gallery in Central Campus, Blue Bell. She is the recipient of numerous awards from many open juried exhibitions such as 1st Place from MCGOPA, 2nd Place from the Philadelphia Sketch Club, 3rd Place from the Tyme Gallery and many memorial awards. Her collections are in Seoul National University and more than a hundred private collections in Korea as well as in the United States of America. 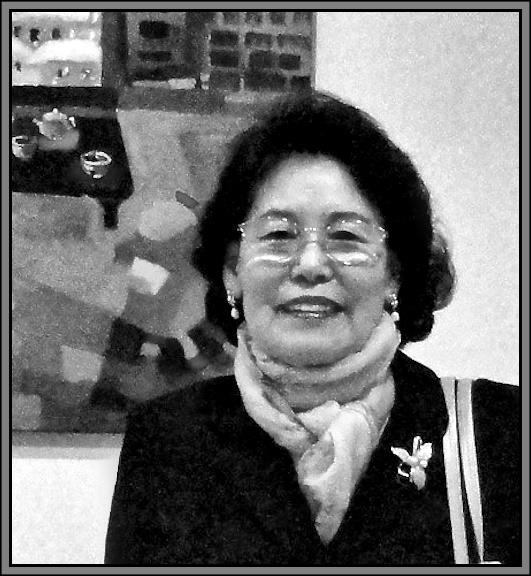 She is a Board Member at the Philadelphia Sketch Club, founding member and president of Philadelphia Arts Connection ( PAC ) which is Korean American professional Artist Group, MCGOPA Associate, and holds memberships with the Philadelphia Art Museum, PAFA Alumni Association, Woodmere Art Museum, Main Line Art Center, Wayne Art Center, GNAL, Tri-State Artists Equity Association, The Plastic Club and Philadelphia Arts Connection. She also had a Juror experience with the Art Contest at the Southeastern District of the GFWC PA Festival of Arts.